Oracle Fusion Middleware on Amazon Web Services (AWS). 2 days. An independent, comprehensive and engaging workshop. This is neither an Oracle nor an Amazon event. Dr. Frank Munz is an expert in middleware and distributed computing. 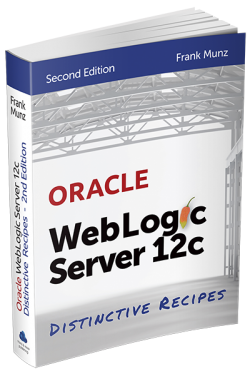 In 2011 he published a book about “Middleware and Cloud Computing“ with Oracle. 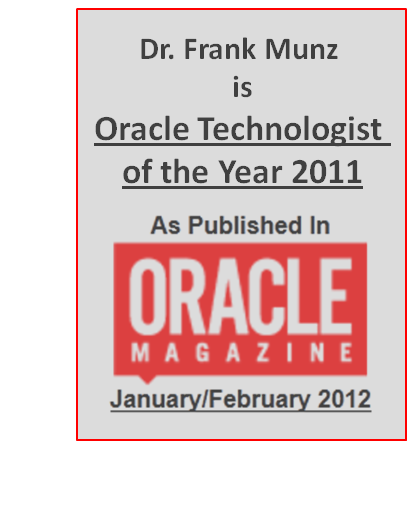 He was honored with the Oracle Technologist of the Year Award 2011, Cloud Computing. He is the author of 20 peer reviewed scientific papers and wrote some 200 postings on OTN and his blog. AUD 790 for both days. 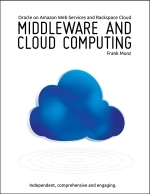 Early bird offer: Receive a free copy of Middleware and Cloud Computing book for bookings before June 15th. On-site courses are available on request. Get the Middleware and Cloud Computing book or the brand-new ebook including more than 100 color images and links. Show the world that you LIKE the book on Facebook.